There is always something new going on in the world of nails, from crackle nail polish that creates a splatter effect to minx nails, which aren’t even your average polish but actually a foil-like treatment. Now, beauty suppliers like Sephora are introducing new and improved ways to have incredible nail designs like the stars but without the price. Special effect nail polish is in this season and now is your chance to try these out for yourself! This nail polish is new to the market. It comes in 3 shades and is a 3D effect for the nail, creating sort of a magnetic texture. The cap even comes pre-installed with a magnet to help achieve the look, isn’t that cool? This polish creates holographic effects to the nail using the top coat that accompanies the polish. It looks as if its pecks of glitter are inside of the nail, or sort of scientific-looking like a galaxy. 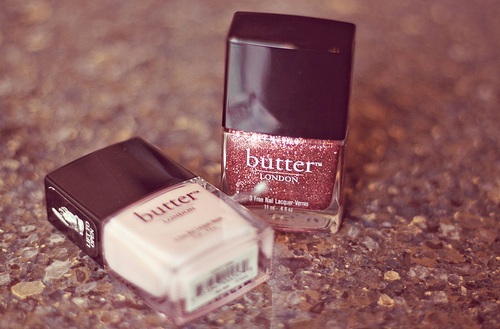 These polishes (along with many others) are a great way to make a nail statement this season. Have fun and be creative. You never know what you’ll come up with! Interesting, I do not know what I think of this, it is sort of hard to know until you buy it!